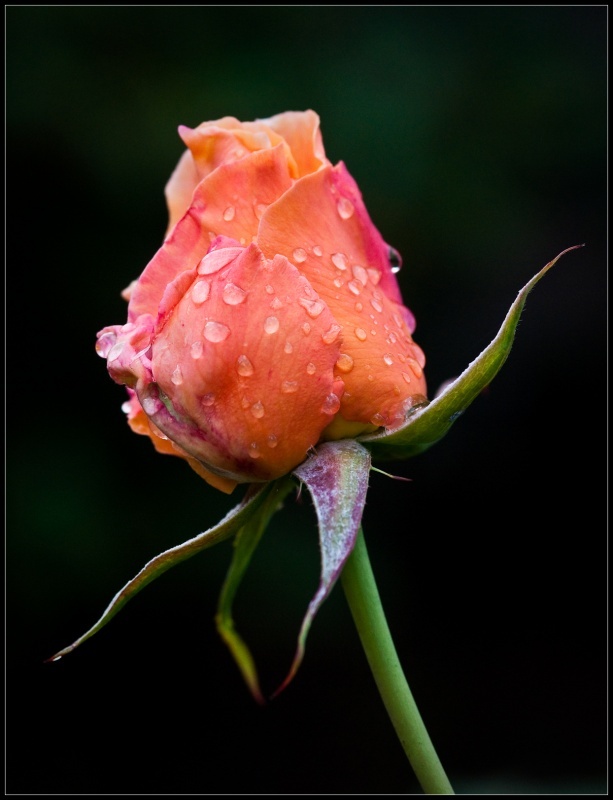 Another wet rose I found on a rare wet day in Silicon Valley. I loved the way the stem made it seem like it had arms/legs! And the right ”arm” has a sun shine reflecting off it!